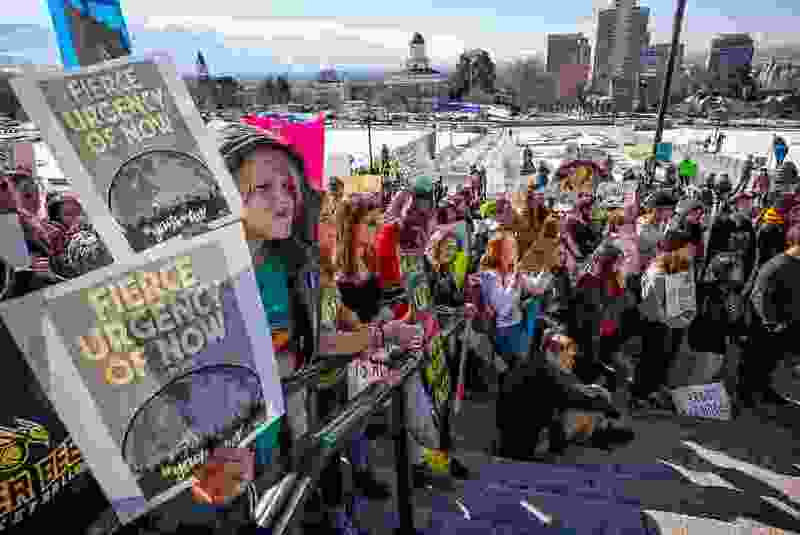 (Trent Nelson | Tribune file photo) Students gather to call for action on climate change at the Utah Capitol in Salt Lake City on March 15, 2019. Recently, Utah Youth for Environmental Solutions (UYES) requested the State Institutional Trust Lands Administration participate in an Earth Day Town Hall concerning climate action. The administration declined our invitation, sending a message that the board doesn’t take climate change or youth seriously. SITLA provides funding for K-12 public education and other beneficiaries by generating revenue from harmful extractive industries (oil, gas and mining). As a student, this rejection makes me feel like I have to choose between a healthy future and quality public education. We’re already seeing the impacts of climate change as 2018 was the state’s driest year. This generation has interest in climate action, and if SITLA trustees genuinely care about students, they must look for ways to fight climate change and the lessen dependence on non-renewable energy sources. The most obvious way is to move toward one of the fastest-growing energy sectors: renewable energy. With this shift, SITLA could avoid compromising students’ education. After the dismissal, UYES has decided to host an Earth Day Action at SITLA’s main office. SITLA should take the requests of youth seriously and transition toward renewables. This will move Utah to be more sustainable and eliminate my choice between my future and my education.